envelope › Buy Poster of Mail Envelope flat vector pictogram. Colored mail envelope, gray, black, blue, green icon versions. Flat icon style for graphic design. Poster of Mail Envelope flat vector pictogram. 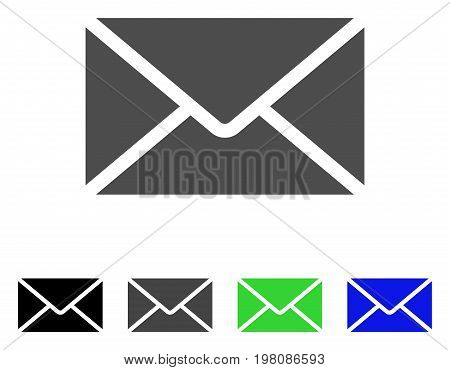 Colored mail envelope, gray, black, blue, green icon versions. Flat icon style for graphic design.